Income tax is levied at a flat rate of 10%. Taxable income is computed by deducting income-generating expenses and tax credits from the gross income. 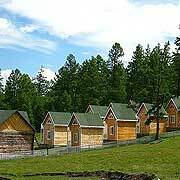 Rental income from leasing property in Mongolia is considered as part of the income and taxed at a flat rate of 10%. Capital gains realized from selling real property is considered as ordinary income and taxed at a flat rate of 2%. The tax is levied on the gross proceeds and no deductions are allowed. Property tax is levied at a flat rate of 0.60% on Mongolian real property. The tax base is the property value is that registered with the government registration authority.If the property is unregistered, the tax base is the property's insured value. If the property is both unregistered and uninsured, the tax is levied on the property's accounting value. Income earned by companiesis liable for corporate income tax of 10% for taxable income up to MNT3 billion (US$1,492,537). Companies are liable for corporate income tax of 25% for taxable income exceeding MNT3 billion (US$1,492,537). Income-generating expenses are deductible when calculating taxable income. Lawyers (attorneys) with property law practices in the Mongolia?